PALMS has interacted with the administrative-political system in the entire region and in each of the countries throughout the projects duration, starting in 2009 and continuing towards the project termination by the end of 2013, and with plans to continue post-project. The Local Advisory Committees have included several members from the administrative-political systems in Colombia, Ecuador, Peru and Bolivia. As documented on the PALMS webpage there has been a two way dialogue between the PALMS researchers and the members of these committees. All WP leaders have presented their work, and the local advisory committees (with administrative-political members) have commented on PALMS’ activities and made suggestions for improvements in the project, whereas PALM researchers provided the members with insights from the projects that were useful for their work. There have been seven such meetings with the local advisory committees and the best documented one is the last one held in Lima in September 2013. The webpage includes all PowerPoint presentations from the meeting, and a document that cites all comments and suggestions from the committee members in Spanish AND ENGLISH. The other meetings have been equally detailed, even though the documentation on the webpage is not so detailed. As a result of activities developed by WP5, and the contacts made by project members with government officers, the Ministry of the Environment has launched a National Program for Palm Conservation. 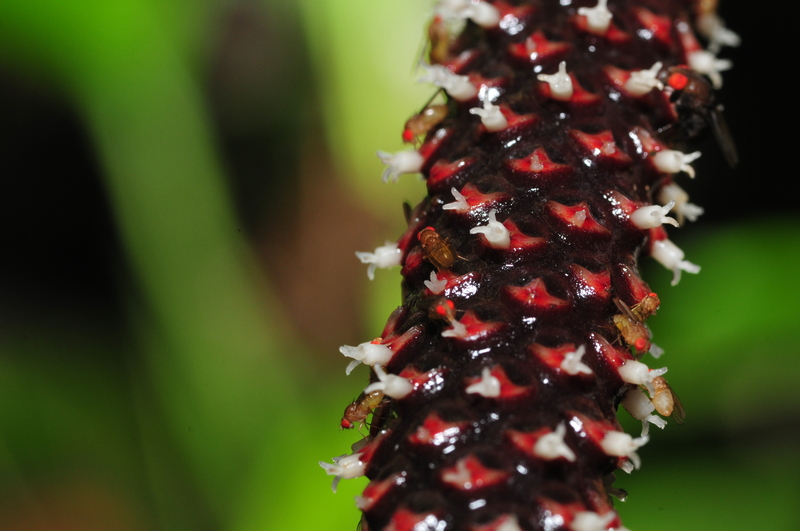 This Program, to be formulated by members of WP5, will be delivered in early 2014, and it will be the bases whereupon specific actions will be taken by local environmental authorities for each of the palm species needing particular attention in the country. A launching workshop took pace in Bogotá in September 2013, with attendance of representatives of several local environmental authorities and other state agencies. 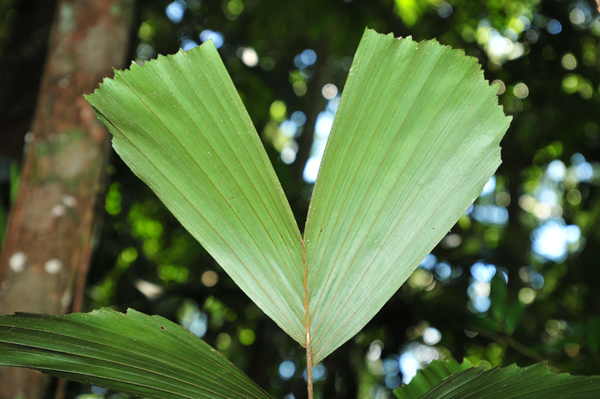 And although stemming from before the PALMS project started, it is worth mentioning that he Colombian PALMS team has experience in interacting with political powers in the country; for instance researcher (who are now members of the PALMS team) convinced the Catholic Church to ban the use of Ceroxylon leaves for Palm-Sunday. This use had reached very high levels and constituted a threat to the Andean populations of these palms. In Ecuador PALMS has worked closely with the Ministry of the Environment, and more specifically with its program BIOCOMERCIO. 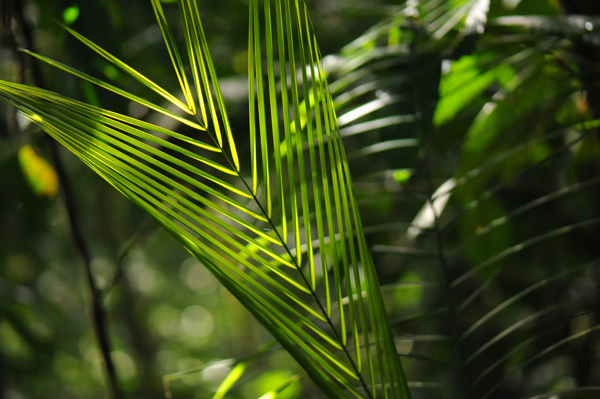 PALMS researcher Lucia de la Torre has been contracted by the ministry to help out developing an Ecuadorian regulatory framework for extraction of Non Timber Forest Products (NTFPs). Based on the original WP6 publication (de la Torre et al. 2011) reforms to and standardization of protocols for commercial extraction of NTFPs in Ecuador. Management practices were proposed for 317 NTFPs including 30 species of palms and 62 palm-NTFPs. Currently the interaction with this administrative-political level involves the Dirección Nacional Forestal (DNF) and the Dirección Nacional de Biodiversidad (DNB) and lawyers from both departments. This work is to produce management guidelines derived from the PALMS project. The Ecuadorian team collaborates with the project National Forestry Evaluation (Proyecto Evaluación Nacional Forestal) of the Ministry of Environment which sees palms as important elements of the ecosystem services and PALMS is providing relevant information for this purpose. Following the Local Advisory Committee meeting in Lima (September 2013) the WP6 team located in Ecuador has provided Peruvian officials from the Ministry of Agriculture with the legal documentation gathered and the comparisons between the four countries under study in PALMS. The Peruvian PALMS team has had close contacts to the Ministry of Environment and the Forestry Ministry. PALMS researcher Betty Millan was appointed by the Government to represent Peru at the 16th SBSTTA meeting of the Convention of Biodiversity (CBD) in Montreal in 2011. She was also appointed to represent PERU at the 11th Conference of the Parties (COP11) in Hyderabad, India in 2011. She functions as the Governments expert on the CITES-Flora panel within the Ministry of the Environment (MINAM). She is appointed by the Government as responsible for the technical group for the Application of the Global Plant Conservation Strategy and for the Technical Group for the Taxonomy Initiative, both under the Convention for Biodiversity (CBD). Betty Millan is also the Peruvian Government’s responsible for the Network for Conservation Centers ex situ under the National Commission for Biological Diversity (CONADIB). In Bolivia WP8 has had a constant interaction with the Ministry of Environment and Water coordinating the research activities including collecting of botanical material and specimens of palms in different parts of the country. These contacts have been with the ministry’s staff in the departments dealing with biodiversity, forest management, and access to genetic resources. An integral part of the contact has been to keep the authorities updated with all materials and recommendations produced by the PALMS project, especially the materials produced for outreach. The contacts have been both by the PALMS researchers, but also more officially on behalf of PALMS by the dean of the Faculty of Natural Sciences of UMSA. When the project started in 2009 the director of the Biodiversity section of the Ministry of Environment and Water, Ing. Aldo Claure was invited to join the local advisory committee of the PALMS and subsequently he has participated in meetings organized by PALMS. These contacts led to forward looking discussions with the biodiversity section regarding the establishment of a Plan for Conservation of Palms in Bolivia. Changes in the Bolivian Government slowed down that process during 2010-2012, but recently the work with this plan has resumed. Most recently UMSA organized a workshop in August 2013 and invited the biodiversity section where this theme has been taken up. Other contacts have been established and in particular with the vice-minister for Science and Technology of the Ministry of Education where PALMS results and recommendations were presented. Among other institutions, WP8 leader Monica Moraes was asked to coordinate a network of biodiversity researchers, and the PALMS project was officially registered in the ministry. Also Monica Moraes was designated as national contact of the ministry for Environment from 2009*. The vice-minister for Science and Technology responded to these contacts by participating in the WP8 organized meeting in August of 2013 and made the closing remarks on this occasion.